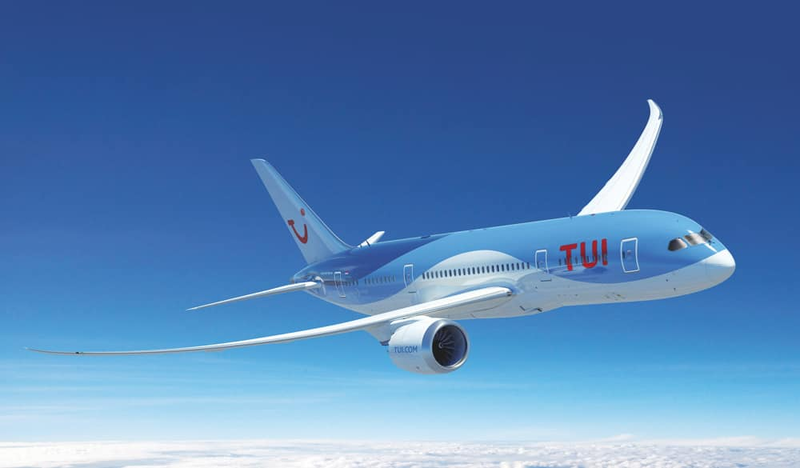 TUI Airways fly direct to selected long haul destinations on the 787 Dreamliner - a state-of-the-art jet that's changing the future of flying. But you don't have to take our word for it - last year, 94% of passengers rated their experience on the Dreamliner as good or excellent. See our A-Z guide for more details. What's different about the Dreamliner? The windows on a 787 Dreamliner are about 30% bigger than those on your average plane. What’s more, when you’re ready to sleep, you can dim them at the touch of a button. Even at its lowest point, the Dreamliner cabin is over 6-foot high, so there’s a real sense of space. You’ll leave the plane feeling fresher when you fly on the Dreamliner. This is because its cabin pressure allows more oxygen to be absorbed into your blood. Your body clock is more in tune wherever you’re heading on the Dreamliner, as the plane features a high-spec mood lighting system that can mimic things like dawn and dusk. The Dreamliner will generate 60 per cent less noise than standard planes during take-off and landing. It’ll be quieter in the air, too. You can indulge in some proper ‘me’ time on the Dreamliner. It’s kitted out with state-of-the-art seatback TVs – and you can even plug your camera into them. While standard planes are metal, the Dreamliner is made of something called composite – a combination of different materials. It means it’s stronger, lighter and more aerodynamic. The plane flies at Mach 0.85. That’s the equivalent of 640 miles per hour – about three times faster than a Formula 1 car at full throttle. When it comes to powerful engines, the Dreamliner’s take some beating. Each one has enough power to supply energy to two million iPods at the same time. Thanks to its composite structure and revolutionary engines, the plane is more fuel-efficient and emits less CO2 – about 20 per cent less carbon on a flight from Britain to America. The 787 Dreamliner can fly about 8,000 miles without stopping, which means it can go direct to destinations other planes can’t reach.